Raizer is a relatively young but undoubtedly promising music project. 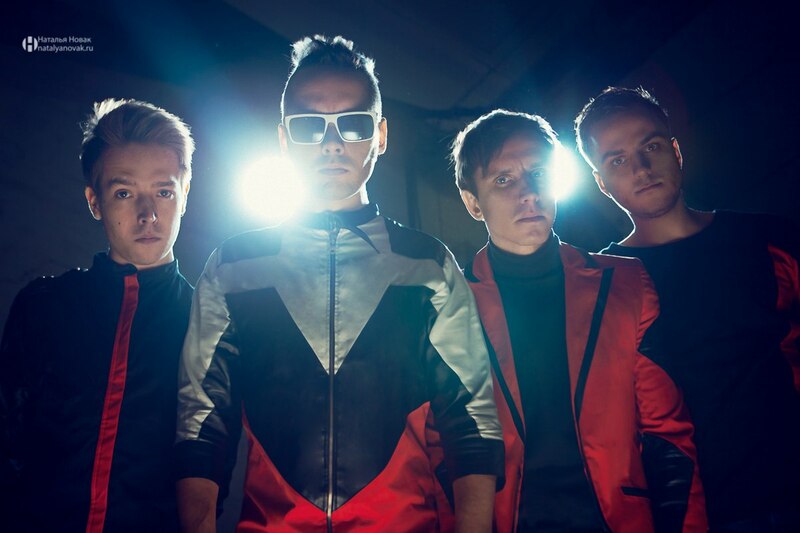 Their field of creation is industrial electro with elements of anthemic rock, drum ’n’ bass and progressive synth-wave. Also the group frequently employs various sound effects that are relative to dubstep and some other modern techno genres.Core style and concept are reflected in the post-apocalyptic atmosphere of cyberpunk world. The energetic rhythm, general mood and strong lyrics are pushing the listener towards lust for life and survival. Most of the soundtracks demonstrate this powerful motivation and make you feel high. The best example of music work in this respect is single We are the future. Formed in 2014 by four ambitious musicians, Raizer band shook music community with debut single – AI. It received a warm welcome and extremely positive response from the admirers of electro music.Music project is rapidly gaining its progress thanks to the diligent efforts of the artists. Vlad (bass), Andrew (beat and groove) and Mike (guitar). Anthony, who is a singer and band’s leader, plays keyboard and violin. All are talented and skilled musicians with a thirst for new experiments. That is what they do in the search of their own style.Guys find inspiration in the works of prominent examples of the genre like Blue Stahli, Linkin Park, KoRn, Celdweller, Skrillex and Pendulum. Despite vigorous and slashing tune of the music in general, Raizer’s zest is opened up in the pulsebeat. It is stimulating and act-provoking. This very trait is what really makes real band so outstanding. This innovative electro music squad is steadily conquering music stage single by single. Unique melodies and heavy basses are intriguing, not to mention the text. Soundtrack called Fall, for instance, builds up an exceedingly strong will to live. Indeed, entirely every record in the group’s collection can be described as productive. You can easily use it as music for workout in everyday training like a house on fire. What you get from the crazy blend of electro and rock music – is the pure drive. Swift and melodic tracks make your blood rush through the veins with energy. It is almost impossible to perceive lively and dynamic tempo without inevitable need for action. If you are not going to impress your guests at a techno house party, at least it may become a perfect music for running. Active and open-minded people, especially sportsmen, will surely enjoy this project.